Add an external eSata high speed HDD to a satellite receiver without needing a separate power supply. The VU+ Solo SE (V2) satellite receiver has no option for an internal hard disk. You can use a portable USB drive but that’s only USB 2 so it won’t be super-fast. There is an eSata connector on the back which lets you connect an external eSata drive which will be fast but eSata hard drives generally need a separate power supply. I figured that since regular 2.5″ HDDs can be powered by a 5V USB supply as they are used in portable USB drives there must be a way to connect a 2.5″ drive with eSata but power it from a USB connector. Guess what, there’s a cable for that! Take a look at my video to see how I used this cable and an old portable hard disk enclosure to make an external eSata drive for my VU+ SoloSE satellite receiver powered from one of the USB connectors. 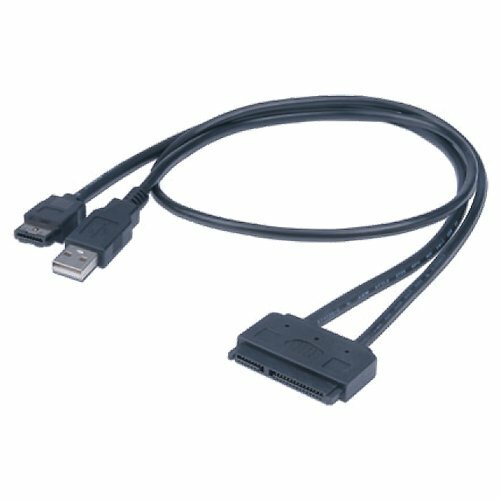 You can buy the cable from Amazon (UK) here. Previous story XBOX One Controller Charging Station – Shocking!